This painting is something of a failure, but one i have affection for. It hangs in my studio to remind me what to do, and what not to do. Once i was sitting at a big public show which included my work. The gallery was in a big public space in what is now Greektown Casino, and many people were passing through going to and from the Detroit Auto Show. One man was walking around critiquing the artists. 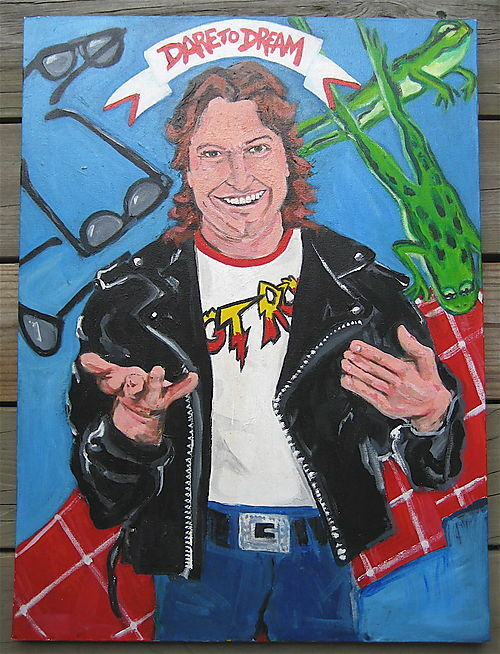 He looked at my wrestler paintings for a while, turned to me and said, "This guy watches too much television". i said, "You're absolutely right. ".